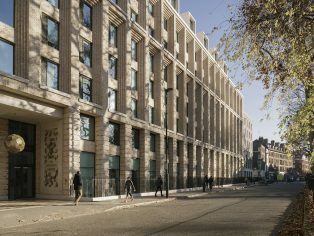 The University of London’s £140 million student residential development, Gardens Halls, was, today, officially opened by Her Royal Highness the Princess Royal. 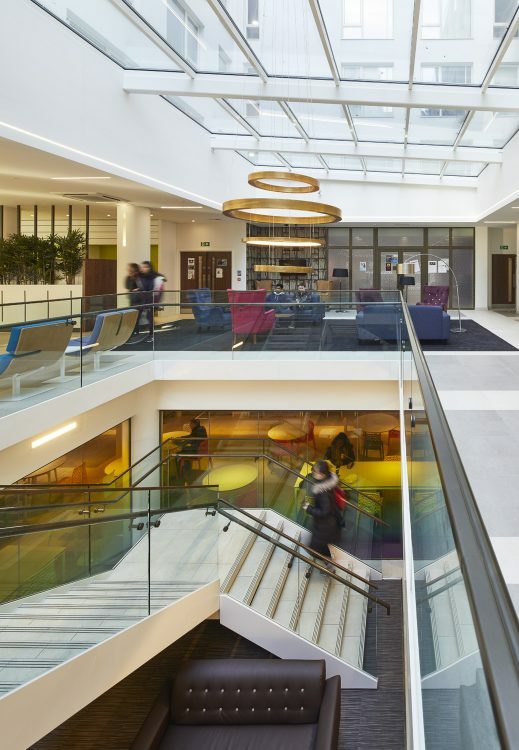 The flagship redevelopment between the University of London and the University Partnerships Programme (UPP) is one of the largest student residential developments in London, providing 1,200 rooms to meet the University’s growing demand. The partnership, established in 2013, involved UPP designing and financing the scheme, thereafter operating the scheme for 50 years, and will help the University of London to continue its current trajectory; to grow and develop as one of the most significant academic institutions in the Country. Designed by executive architect, tp bennett, in partnership with Maccreanor Lavington, who was the architect for the principal facades, the new 59,831 sq m building provides the University with a 18 per cent net increase in capacity, which amounts to an additional 187 beds. The accommodation consists of both catered and non-catered and includes a variety of rooms to suit different student needs including en-suite bedrooms, townhouses, cluster flats, accessible studios, and apartment bedrooms. The final design is built over an entire urban block and comprised the main nine-storey building facing onto Cartwright Gardens, a six-storey corner building on Leigh Street and townhouses on Sandwich Street. 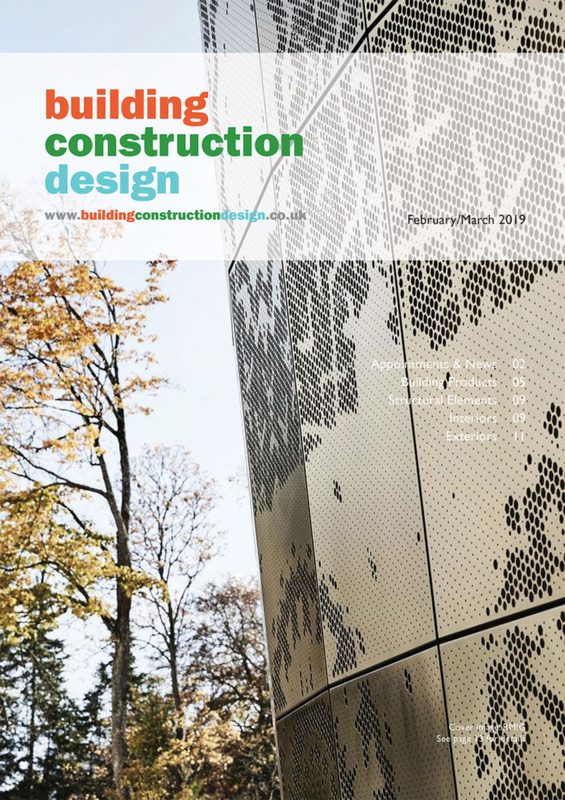 The new buildings are internally interlinked to form a single base that houses communal facilities including a garden cafe, communal areas, flexible meeting rooms, cinema room, music and games rooms, as well as cycle storage and tennis courts. The scheme also re-clad and refurbished the existing 15 storey Hughes Parry Tower. 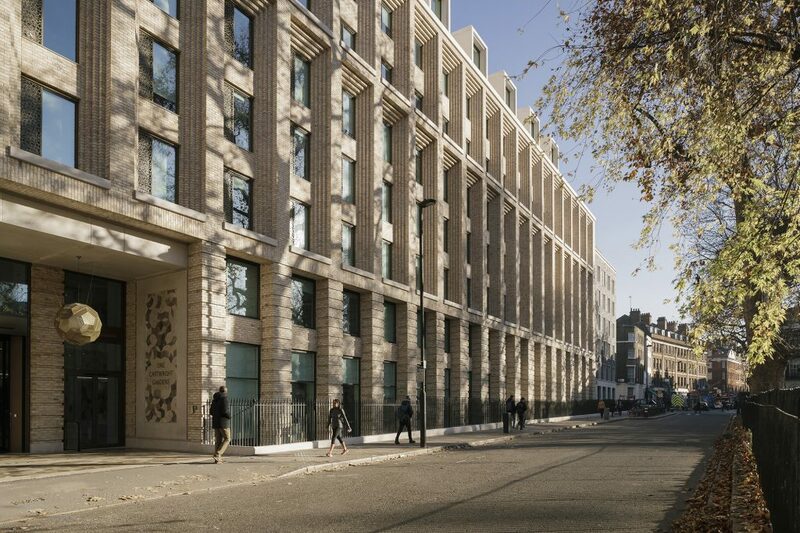 For the facade design, Maccreanor Lavington took its cues from the larger Victorian and Edwardian buildings that have been previously added to the fabric of Bloomsbury. The design shows a meticulous approach to scale, order and relief. The main build material on the nine- storey facade is buff water struck Petersen brick, offset by white reconstituted Portland stone and glazed terracotta, with a darker water struck Petersen brick used on the six-storey building to match the soot coloured brick buildings in the surrounding area. The entire facade was manufactured off-site as brick faced precast concrete panels, which generated cost and time efficiencies. 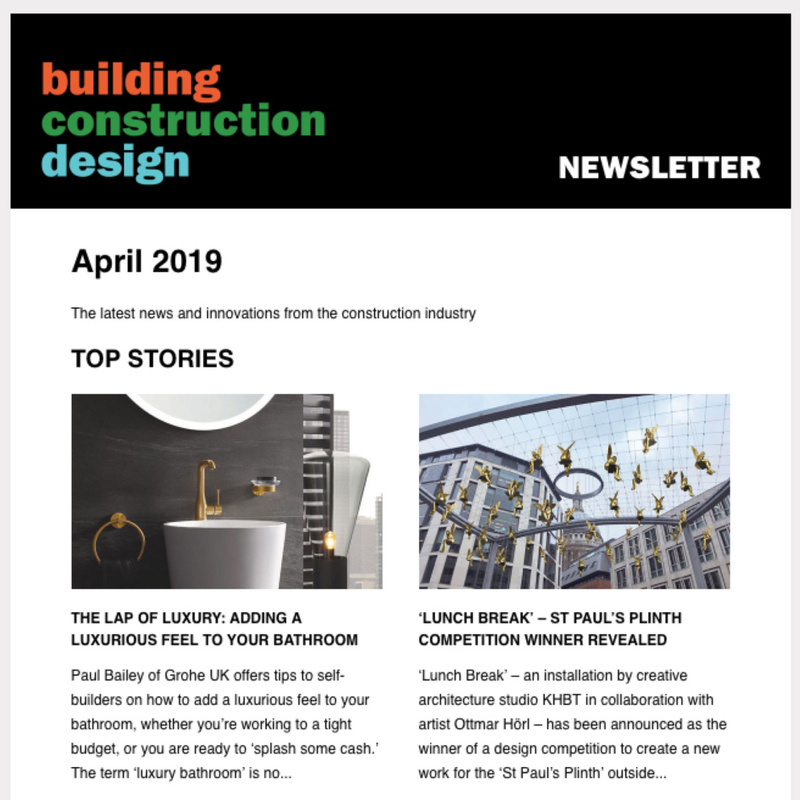 “We wanted our design to reflect the history of the local area and the aspirations of the next generation who expect an aesthetic and 21st century living and work environment. While its exterior needs to respond to the historic context, the interior offers a more contemporary style with a variety of open plan spaces for socialising and studying. “The modern student no longer views their accommodation as just a place to sleep, eat and study. Therefore, we’ve placed great emphasis on flexibility in our design, both in the facilities provided and in the room types, so that the accommodation is an extension of the university experience.